Most of us never think about the muscles it takes to swallow our food and liquids. Unfortunately, for many seniors, this can be difficult and painful, and turn into a serious condition called dysphagia. Having dysphagia means it takes more effort and time to move food and liquid to the stomach. In some cases, swallowing can become impossible. Dysphagia is serious and can affect a person physically and mentally. The physical obstacles are more obvious, while emotionally it can lead to isolation. Seniors can become embarrassed to eat in front of others and may stop attending social situations that involve eating. A variety of strategies and exercises can help improve the ease of swallowing if your loved one happens to be a sufferer of dysphagia. These tips can help him or her get through their daily meals. Maintain good oral hygiene to reduce the chance of acquiring pneumonia. Consult with a licensed Speech-Language Pathologist who can suggest appropriate protective strategies such as straw drinking or using a spoon rather than a cup. Try smaller, frequent meals if a whole meal is too tiring. If your senior parent or loved one is experiencing swallowing difficulties, it’s important to seek treatment as soon as possible. 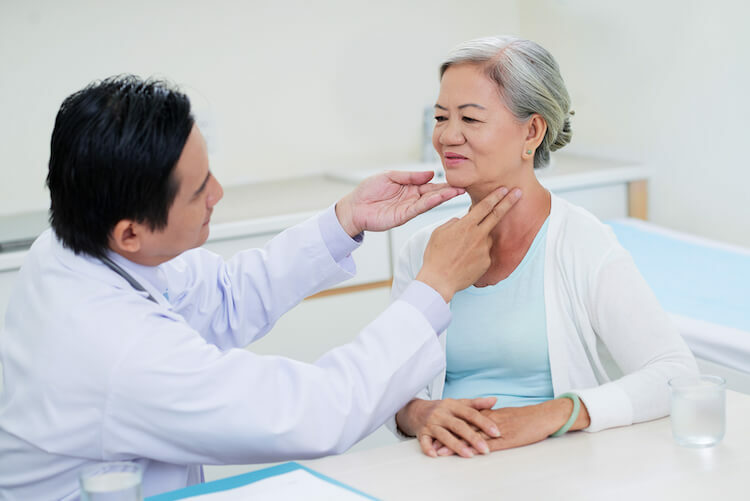 A treatment program, like the Synchrony Dysphagia Treatment Program at Peabody, can help improve swallowing function. Along with this data, the program provides additional exercises to build strength, electrical pulses to improve weak muscles, and biofeedback to improve function. For more information on this program, contact Peabody Retirement Community and learn more about specialized treatment programs at the rehab center. Peabody offers a range of senior living options along with many senior care services.